Geoff Langford on growing strawberries and raspberries. In suitable climatic conditions, growing some of New Zealand’s favourite berries can be a worthwhile project for small-block farmers. With any berry operation, the key is to have a clear view around sales and marketing. Although small-scale operations targeting gate sales and farmers’ markets can be successful, production aspects can be challenging and a loyal local customer base is crucial. There are huge differences in volume requirements for gate sales and farmers’ markets compared with large-scale export operations. For small-scale berry operations selling locally, even one to two hectares can provide useful incomes where the retail margin is factored in, and can typically be more profitable than those selling to retail outlets such as supermarkets. When planning planting, it makes sense to work backwards from the amount of fruit that can be sold profitably. Cropping levels for raspberries are typically 7 to 14 tonnes per hectare and strawberries 30 to 50 tonnes per hectare. There are some climate limitations for successful cropping. Winter chilling is key for summer-cropping raspberries, which require about 800 hours below 7°C, while strawberries and autumn-cropping raspberries also require winter chilling, albeit less at around 200 hours below 7°C. 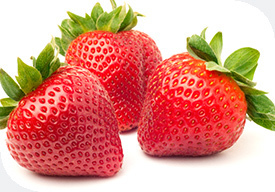 Strawberries and raspberries are sensitive to root diseases and need good drainage. Light and sandy soils need particular care regarding fertiliser and irrigation. Ongoing maintenance includes irrigation, plus weed and pest management. A full bird exclusion canopy can be necessary over the crop. Strawberries also require ground preparation prior to planting. Generally, the harvesting season is ‘full on’ while spring is always a busy time with crop management. Geoff Langford has 47 years’ experience as a scientific advisor in the horticultural industry. He works as an expert adviser to the berryfruit industry in New Zealand and globally. Geoff established Berryworld in 2012 to develop a multidisciplinary approach to crop management, development and production.